Clean inside the guides (tracks) with Methylated Spirits on a damp cloth. Polish away dirt, leaving a moisture resistant surface so that the polyglide will move easily. Do not use oil or grease in the guide tracks. Steel Hinges: Lubricate with all purpose machine oil like Inox. Fasteners: Check all screws, nuts & bolts to ensure they are secure. Lifting cables: Check for wear, if there is visible fraying contact DSA. These cables are under extreme tension & should never be touched by anyone other than specialised technicians. Springs: Your door will lose spring tension with every use, if your door becomes hard to lift or you cannot use the door. Please call us to arrange an appointment. Your springs should never be adjusted except by trained servicemen due to the extreme tension they are under. How do I organise a Measure and Quote for my Garage Door? 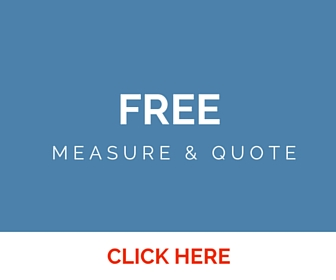 We measure and quote for FREE! Simply fill out our online form or give us a call at 02 9833 1687. How far away from my garage door will the transmitter work? In general remote control transmitters will operate from much further than required. This can be as far as 50 metres. However, this can also be significantly reduced due to a number of building and environmental factors. As a rule Gliderol strongly suggest that all doors should be operated when they are in clear line of sight. The average opening or closing cycle time should be a matter of 12 – 15 seconds. Should any Gliderol door take longer than this to open or close please contact us. How much space will I need to fit my roller door? Gliderol roller doors do by virtue of their construction require space to conceal the rolled up section of the door. On average the rule of thumb for domestic installations is that the door will occupy 450mm of space from the lowest point of the ceiling. Stand inside the garage or shed and look outward toward to street. Imagine the roller door sitting horizontally across the top of the opening. Its going to take up 450mm of space from the lowest point of the ceiling. If you have a low opening height and you intend to store a boat or park a 4WD in your garage – its always wise to check first. How often should I have my Gliderol roller door serviced? All Gliderol roller doors are designed to offer years of trouble free operation and generally require minimal maintenance. Manually operated roller doors should operate freely in either the opening or closing direction. Roller doors which are either difficult to lift or which appear to fall when moving in the closing direction may require some adjustment to the spring tension. This is best left to the services of our qualified technician. All roller doors operate with the assistance of specially designed torsion springs which are under tension – as such serious injury may be sustained if the adjustment procedure is not undertaken correctly. Gliderol roller doors fitted with either the Glidermatic or Roll.a.matic remote control system should likewise require minimal maintenance. Any door which appears to be labouring during the opening or closing operation may also require some qualified adjustment. Ensuring that the guide sections in which the door runs are kept free from dust, dirt and other build up is a simple yet effective maintenance step which involves nothing more than carefully wiping the inside of the section with a rag. Do not lubricate the guide sections with oil, grease or any other petroleum based product. Recent development in lubrication technology has witnessed the introduction of silicone sprays which are readily available and offer suitable lubrication for roller door guide sections. Refer to warranty recommendations in regards to service frequency. If the power goes out, how do I operate my roller door? All Glidermatic or Roll.a.matic operators have a simple manual release lever which allows the door to be operated manually during loss of electrical power. Garages or installations where the roller door is the only point of access will require an additional accessory at the time of installation to enable the door to be operated manually. Children should never be allowed to play with the garage door or operating system. Children should never stand, run or play under, near any garage door especially when door is moving. Never stand or walk under a moving garage door. Never enter or exit the garage by racing under a moving door. When using the door always keep the garage door in view until door is fully opened/closed. Keep fingers/hands away from door sections when opening or closing to avoid injuries. Never repair garage door springs or cables as they are under extreme tension & can cause severe injury or even death. Should I lock my roller door? All Gliderol roller doors fitted with either a Glidermatic or Roll.a.matic operator should not be locked during normal operation. The units are designed to hold the doors closed to prevent unauthorized entry. Should any attempt be made to force the door open from the outside the unique electronic control system will detect the forced intrusion and pulse the door to the closed position. If the door is inadvertently locked and the operator activated this will cause the unit to overload and force the gears to drive against the lock. In such instances the power should be turned off immediately and a qualified technician may be required to return the door to its correct operation. If the roller door is not going to be used for a long period, possibly during holidays and you are concerned about security. If you are concerned about security turn the power off as your door will remain locked. Please refer to the Gliderol Maintenance & Cleaning Guide.